Climbing and Walking Robots and the Support Technologies for Mobile Machines is a collection of papers presented at the 2000 CLAWAR conference. Featuring current work from leading robotics labs around the globe, this book presents solutions for perennial challenges in robotics, and suggests directions for future research. Topics include design methodology, locomotion, novel actuators and sensors, robotics applications, and more. Relevant to mechanical engineers and robotics specialists in both industry and academia, these papers showcase the field's latest technological advances. 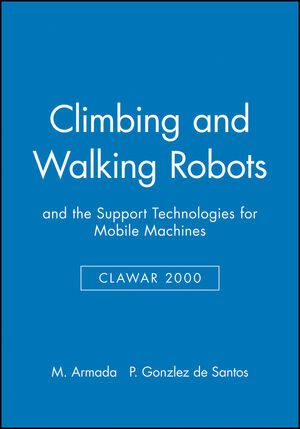 M. Armada and P. González de Santos are the authors of Climbing and Walking Robots: and the Support Technologies for Mobile Machines, CLAWAR 2000, published by Wiley.